Tom Arscott scored two tries as Sale Sharks completed their Anglo Welsh LV Cup campaign with a 38-3 thumping of the Scarlets at the AJ Bell Stadium. 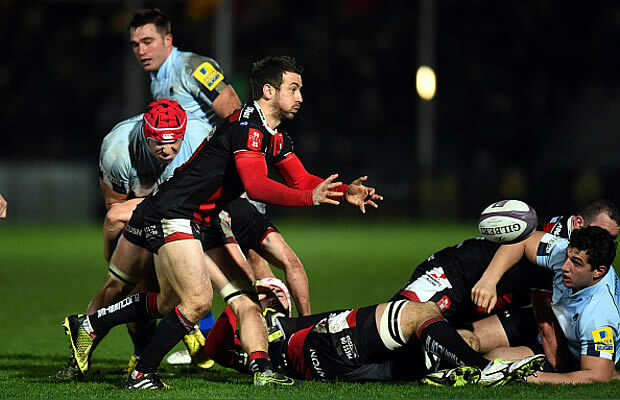 Sale cruised to victory in this dead rubber with two tries from Tom Arscott sending them on their way to a crushing success. Dan Braid, Mike Haley, Tom Brady and Viliami Fihaki scored the other tries for Steve Diamond’s side, while Frazier Climo added the Scarlets’ lone score, a first-half penalty. 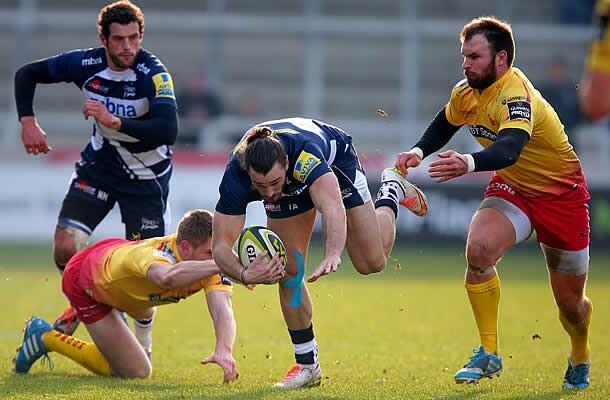 Sale Sharks: 15 Mike Haley, 14 Tom Arscott, 13 Johnny Leota, 12 Sammy Tuitupou, 11 Mark Cueto, 10 Nick Macleod, 9 Will Cliff, 8 Josh Beaumont, 7 David Seymour, 6 Dan Braid (c), 5 Nathan Hines, 4 Jonathan Mills, 3 Vadim Cobilas, 2 Marc Jones, 1 Eifion Lewis-Roberts. Scarlets: 15 Kristian Phillips, 14 Kyle Evans, 13 Iolo Evans, 12 Adam Warren, 11 Aaron Warren, 10 Frazier Climo, 9 Rhodri Williams, 8 Rory Pitman 7 Sion Bennett, 6 Roy Osborn, 5 Shaun Jones, 4 Jack Payne, 3 Ben Leung, 2 Darran Harris, 1 Rhys Thomas.